Kenelm (Bill) Edward Lee Guinness (14 August 1887-10 April 1937) of the brewing family was a racing driver in the 1910’s and 1920’s. Whilst studying at Cambridge, he acted as his brother’s mechanic. After university Guinness began racing and used some outbuildings at an old disused inn called The Bald Faced Stag on Putney Road as his workshop. During the 1912 Manx Tourist Trophy Race Guinness became frustrated at the unreliability of the spark plugs fitted to his Darracq. Spark plugs performed satisfactorily before this time. However the smaller, higher revving engines showed up any deficiencies in the performance. Guinness decided to design a better performing spark plug and experimented with materials other than porcelain as an insulator. He used mica stacked in sheets and compressed by the centre electrode being tightened on a thread. This led to a more reliable performance and production began at ‘The Bald Faced Stag” with Guinness’ racing friends (such as Segrave and Campbell) asking him to produce more for their use. Demand for these plugs increased so that Kenelm entered into large-scale production. Special plugs were designed to specialist requirements such as the aircraft needs of Royal Flying Corps (later the Royal Air Force). 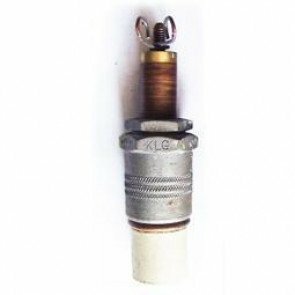 KLG plugs were reliable when used in aircraft and were in demand during the First World War. Kenelm joined the Royal Navy at the outbreak of war but his spark plug work (marketed as KLG taken from his initials) was considered more valuable so he was asked to resign from the Navy. KLG plugs were famous to aviators by the end of the war and 1,500 workers were employed at Robinhood Works on Putney Hill. Additionally, several special engines and two complete record-breaking cars were produced in the garages in Putney. The cars were Sir Malcom Campbell’s “Bluebird” and Sir Henry Segrave’s “Golden Arrow”. In 1919, Guinness sold the world distribution rights to Smiths and KLG plugs were used in almost all motoring, motorcycling or aviation achievements. After the First World War, Coatalen built the Sunbeam 350HP powered by a V12 Manitou engine. KLG’s reliability was attractive to the land speed record contenders and the many cylindered aero-engines often with dual ignition systems. On 18th May 1922 Guinness used the car to set new land speed records of 135.75mph (two-way average speed) at Brooklands. These records were the last land speed records to be set on a racetrack rather than a beach or salt flat. The car was sold to Malcom Campbell who renamed it “Blue Bird”. Kenelm continued to race and competed in the Spanish Grand Prix at San Sebastian in 1924. His Sunbeam crashed, killing his riding mechanic Thomas Barrett and Guinness suffered serious head and limb injuries. After this, Guinness stopped racing although he accompanied his Sunbeam co-driver Segrave to Daytona in 1927. Also in 1927, Guinness sold the business completely to Smiths but stayed on as a consultant. 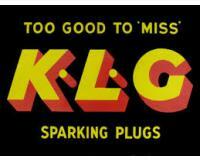 KLG spark plugs continued to be manufactured by Smith Industries at the factory on the site of The Bald Faced Stag. This main factory was demolished in 1989. 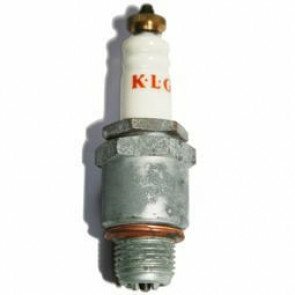 The Green Spark Plug Company and KLG Spark Plugs. 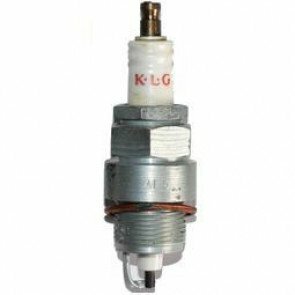 Our KLG spark plugs are the last remaining stock. The stock is reducing but we do buy any KLG surplus stock that we can source. 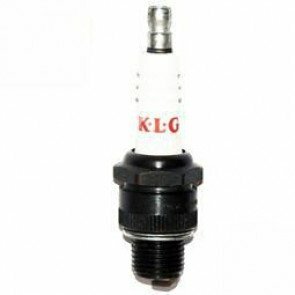 You can buy KLG spark plugs through our website or we are available for telephone enquiries and orders. 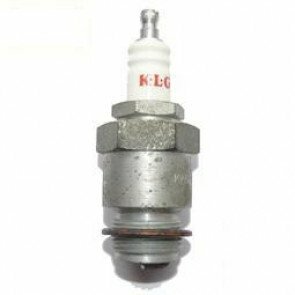 1x KLG Spark Plug Cap PS Type.